After a full year of airsofting i have finally decided i do indeed need a gun case! I have two rif's so need a case to house both or one each. However my MK17 needs at least 110cm lengh by 35cm. I have found a nice flambeau case but know little to nothing about cases. The guns are atleast 1G each so need something strong! I myself am in the same position. I'm looking into all cases, not just rifle cases. Guitar cases and transport hard cases look very spacious and as for padding I will buy a big sheet of high density foam and cut to fit. Do you want a hard case or a soft case? I started off with a cheap soft case which did the job of holding 1 rifle but the gun tended to move around a bit even with the straps so I looked into getting a hard case. 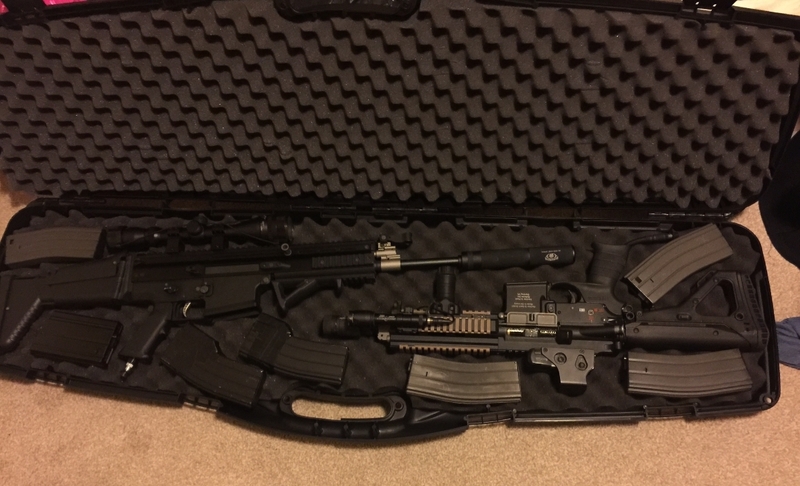 I looked into Plano cases but in the end I just ended up getting a SRC hard case which just about fits my 2 rifles and has foam which holds it secure. My other stuff and pistols I carry in a duffle bag. Think how you plan on transporting the case as very long cases may not fit into the boot of your car. 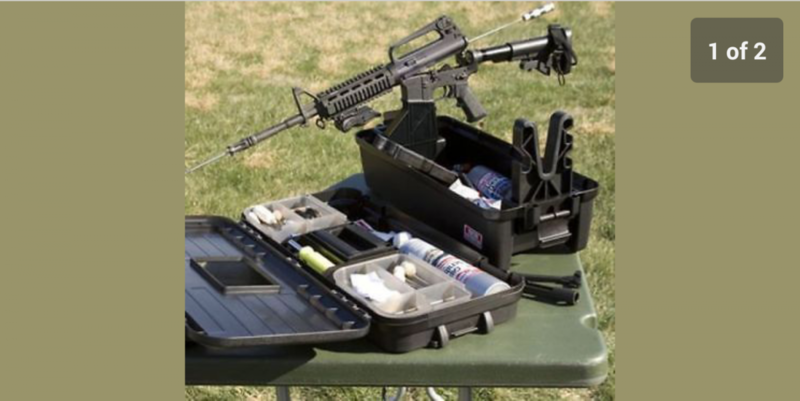 Ive always used Plano SE cases. Not cheap but nor are broken guns. SRC make nice repro versions of Peli cases... 1720 I think. Flambeau are plenty strong enough. I store and carry my air rifle in one and that is way heavier than most airsoft guns. They also do the more oblong case that can even take two rifles at once. Just posting how i got on with the Flambeu double..
Did you order a blank suppressor and they sent you one with markings too? Do however need a black washer to get the markings the right way up. I recently got a combination of the 2 cause i wanted something cheap that can hold both my M14 1120mm long and my short ICS CXP-08 so went for one of these. Pretty sturdy construction, holds both guns and their 5 mags plus 1911 and 3 mags + CO2 cannisters and a bag of BB's so can carry my days weaponry in it, though i'm not carrying it long distances mainly from the house to the car and back again. Also has the foam lining found in gun cases. I went for the CP Camouflage one, normally i'd go for something plain like you so either Black or OD but they had a discount on the camo and seeing as it's not going to be a fashion accessory anyway stuck in the boot of the car saved a couple extra quid. I just use a cheap Swiss arms bag. It's big so if I got a long gun it would fit no problem. I often have 2 guns in my bag a M4 and a as val just wrap the val up in a shirt and its fine. The bags are good but i love the case element and being able to use it as a work station on game days. Pelican 1720 is what you're after. Are the Pelican cases worth the money over the clones? I dropped one full of 220kg of batteries out of a helicopter down the side of a mountain in -20C and it survived 90% intact and the contents were unharmed. Which airsoft site was that? My point being Pelican cases are nice, and I'm sure they live up to their very high standard of protection but for airsoft they're absolute overkill - £2k worth of guns or not, you're looking at a £200 case. Buy a £100 clone and spend the other £100 on some custom foam inserts if you like.